It’s beginning to look a lot like Christmas . . . in July! With all the new idea book sneak peeks posted throughout Convention (and all the goodies the attendees took home), doesn’t it sort of feel like Christmas? Yes, maybe you’re reading this post while you’re lounging in your air-conditioned home or soaking up some sun at the pool, but honestly, don’t all these new products and surprises create the same excitement you feel during the holiday season? And for those lucky Convention attendees who already have your idea books in hand, we know you’ve made a wish list of all the products you want Santa to give you—and you’ve probably even checked it twice! To make you feel even more of this Christmas-like cheer, we’ve got a pretty jolly July deal that’s so good you’ll just have to jump on it. For this month only, you can get your hands on one of our exclusive Hostess Rewards stamp sets featured in either Annual Inspirations 2014–2015 or Seasonal Expressions 2 even if you aren’t a hostess! Simply make a qualifying purchase of current, retail priced stamps during the month of July, and you can receive any Hostess Rewards stamp set of your choice for a discounted price. We’re tellin’ ya, right now really is the most wonderful time of the year! 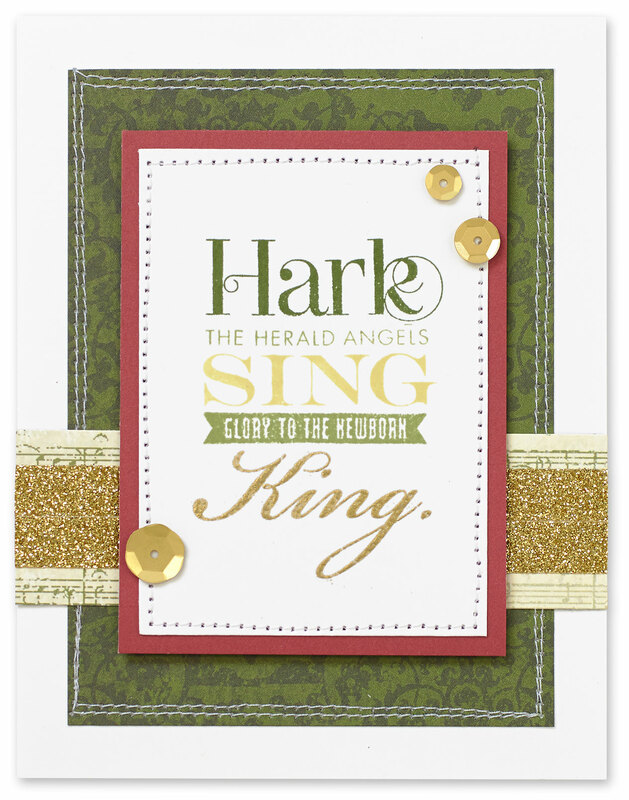 We just love the My Acrylix® Sing Glory Hostess Rewards stamp set on this beautiful card. The masking done with the complementary shades of ink and the touch of gold embossing make the card feel warm and cozy, just like a glowing hearth next to the Christmas tree. 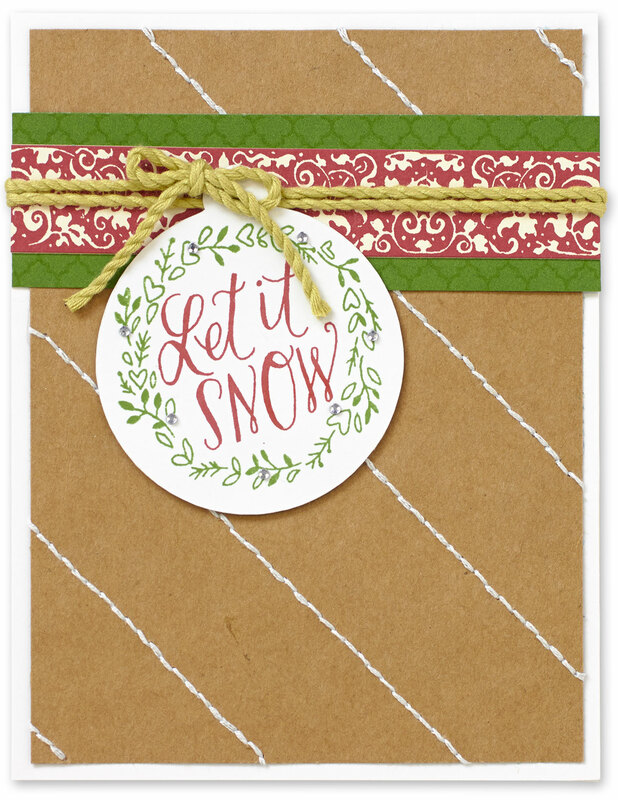 And take a look at this My Acrylix® Be Jolly Hostess Rewards stamp set. The bitty sparkles enhance the delicacy of the wreath, and the stamp is tied to the card in such a way that it looks like a tag on a present. What a beautiful gift to receive—a heartfelt card from someone you love! Have we got you singing “Joy to the World” yet? Well, start singing because these are only two of the many Hostess Rewards stamp sets you can choose from when you make a qualifying purchase. Go ahead, peruse through Annual Inspirations 2014–2015 or Seasonal Expressions 2 and pick your favorite set! To see even more beautiful artwork featuring our Hostess Reward stamp sets, visit our Facebook page and Instagram throughout July. Even Sticky Boy will be joining in on the fun, so tune in! To learn more about how to qualify for this great deal, click on the Promotions tab on your Consultant’s online business address. Happy early Christmas! May your July be merry and bright.